Our best selling Nicole cotton shift dress is back in this striking monochrome print. Sleeveless cotton top with pleating detail at the neck. Full length back zip opening allows this top to be slim fitting and show off your shape. 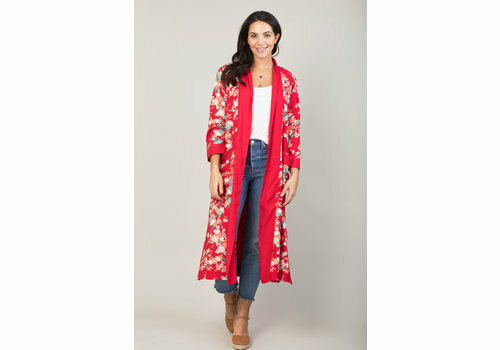 In this lovely country that we live in a summer coat is essential and this is just perfect to compliment your summer wardrobe. We love that you can choose between the two prints depending on your mood. A perfect little reversible cardigan. Soft and so lovely and comfortable to wear. Either side matches beautifully to our Maya dress. 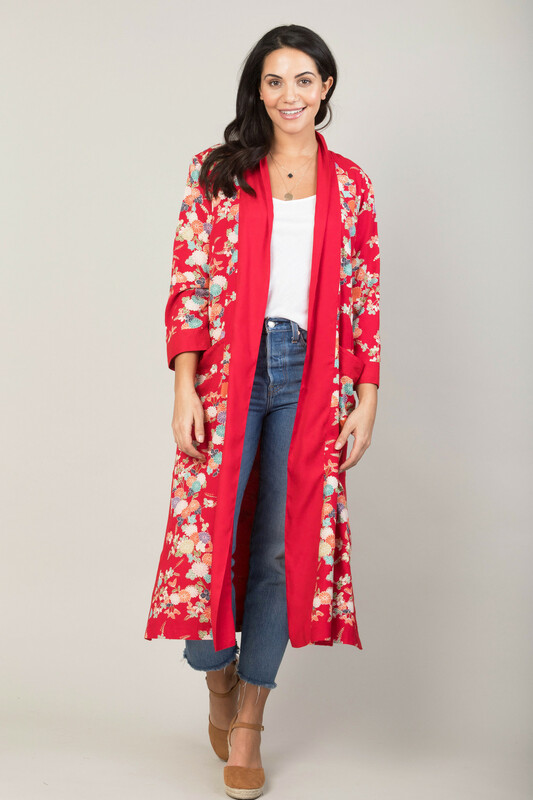 We absolutely love this statement kimono, it's just perfect for any occasion this Spring/Summer. Over jeans, vest and flats for a more relaxed look or over a LBD and heels for more of a party vibe. 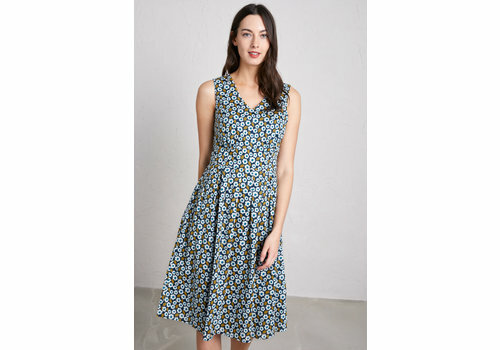 A flattering vintage style dress with a striking floral print, woven from soft, lightweight cotton voile. It's lined in 100% cotton so it drapes beautifully. It's finished with an invisible side zip, in-seam pockets and a removable waist tie. 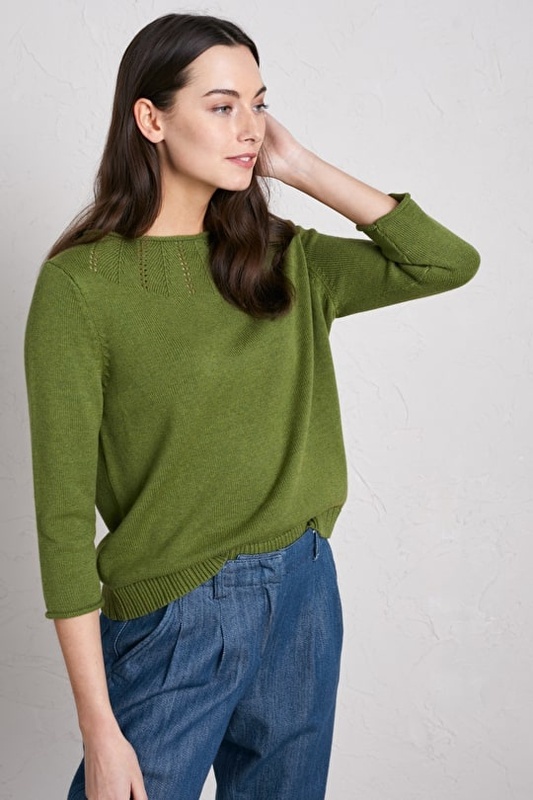 A pretty, feminine knit with pointelle stitch detail which frames the neckline. 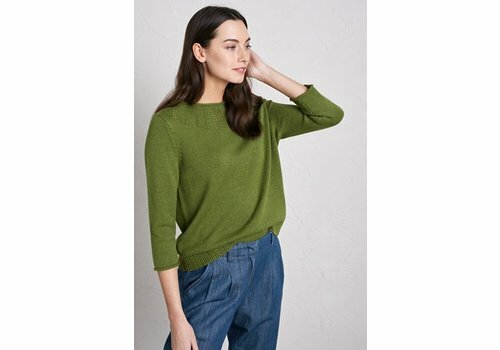 Made from a cotton-rich wool blend, this mid-weight jumper adds warmth without weighing you down. 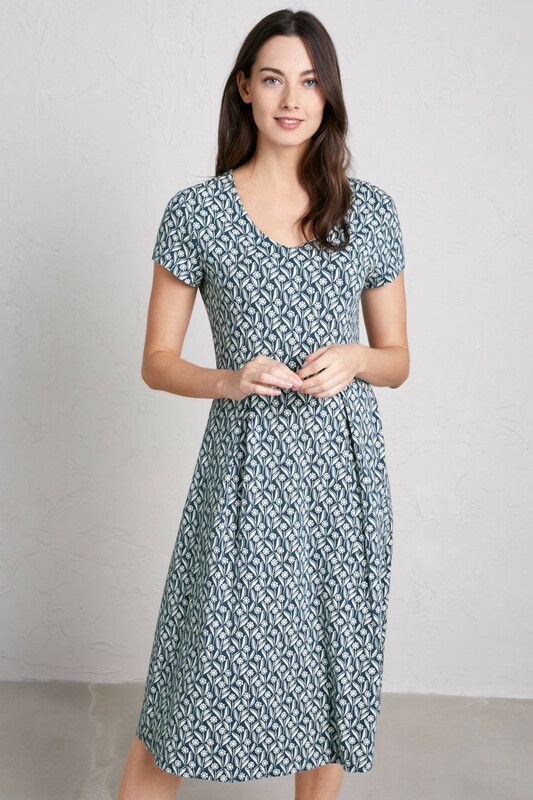 Made from printed organic cotton jersey, beautifully soft and stylish. 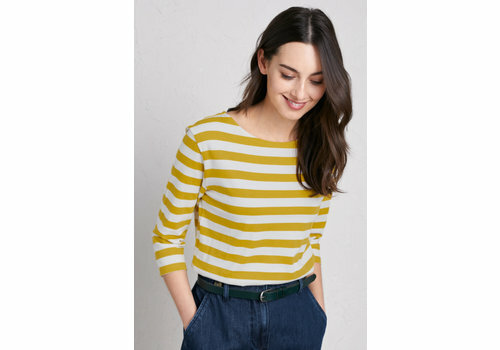 Falling below the knee, it has a fit and flare shape and sits on the natural waist. Short sleeves, a V-neck and a softly pleated skirt complete this relaxed look. Our Hannah trousers are incredibly comfortable, dressed up or down, they will be a wardrobe staple. They were such a hit last Spring we've bought them back in leopard print for the new season. One of our all time bestsellers is back in our birds of paradise print in white for this Spring/Summer. 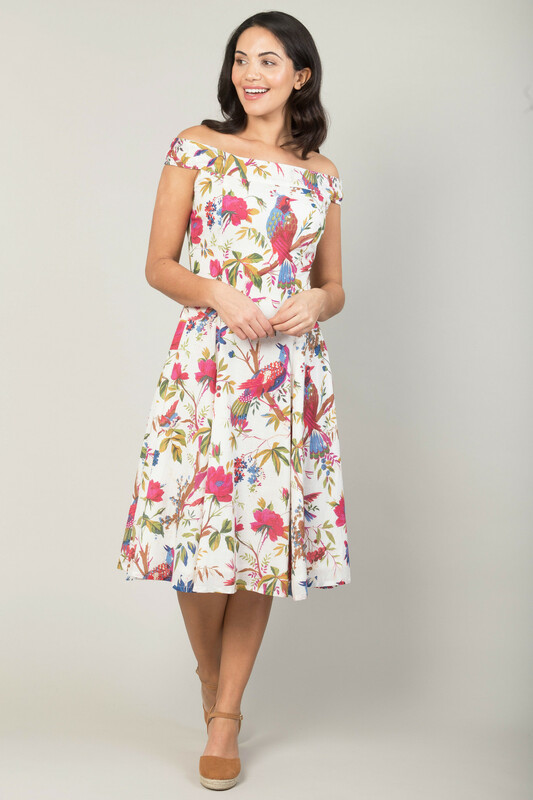 This off the shoulder 1950s silhouette is a flattering fit for all shapes and the print makes this dress extremely versatile. 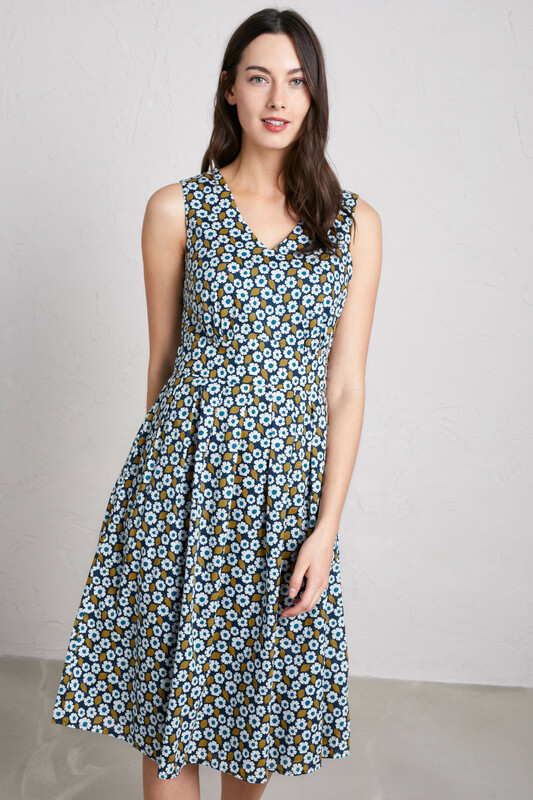 A perfectly simple, sun dress that won't date. Keep you looking and feeling cool, when the temperature starts to rise. Our best selling Florence skirt is back in this beautiful Winter Flower print, a perfect piece for all year round both daytime or evening. Match with a plain black t shirt, heels and statement necklace for a perfect work or evening look. This cosy cord shirt dress is a great piece to add to your Winter wardrobe. Easy to wear for any occasion. This dress will work for any occasion for this season and beyond. The black background makes it easy to style with black tights, boots and leather jacket or be more adventurous with coloured tights. A perfect dress for the festive season, with an indigo background an colourful spots. Wear to a party or to the park, lovely and comfortable, designed for movement, whatever the season. Our best selling Olivia bomber jacket is back but this time for Winter in black quilted velvet. Perfect for that party jacket that is still cosy, so they want to keep it on. 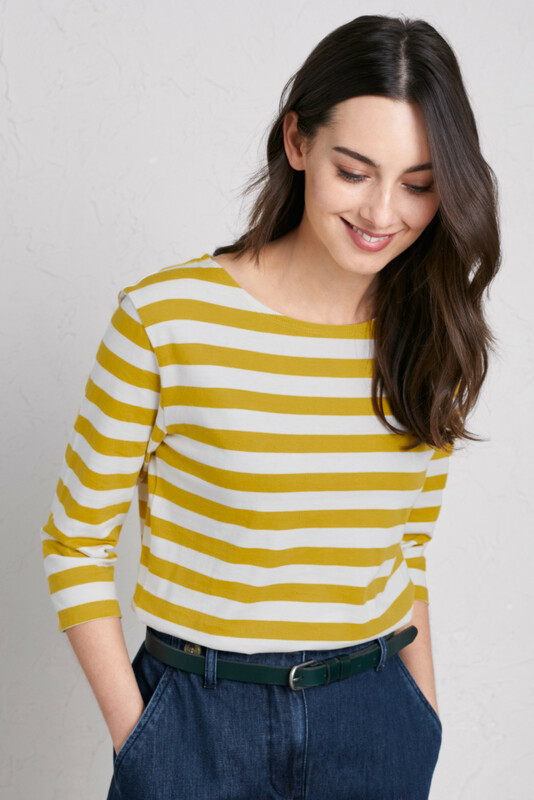 A perfectly simple top in a fun spotty design with an indigo base. Designed by a mum who knows how much children move in a day and the need for soft and comfortable clothes. Match with our Jaba Kids leggings. A beautifully designed quilted velvet party jacket in teal. Cotton lined and cosy velvet keeps the children comfortable but still able to move.